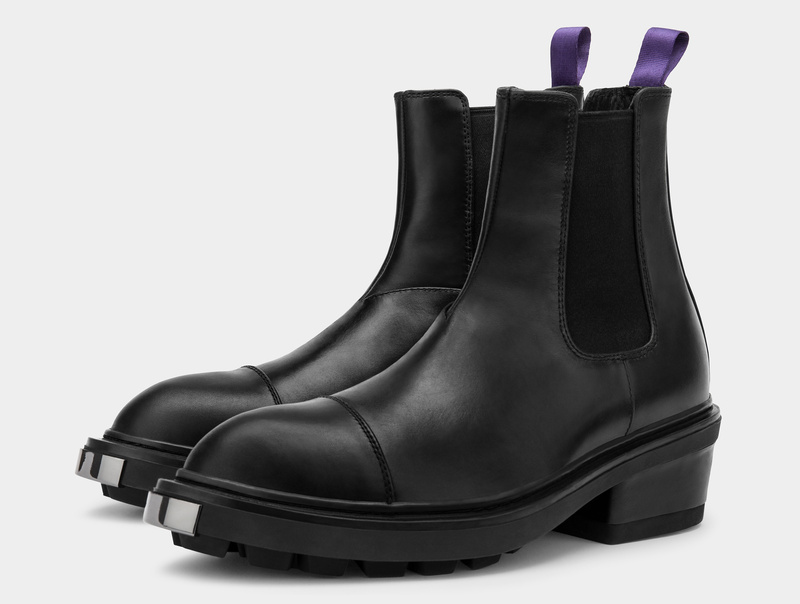 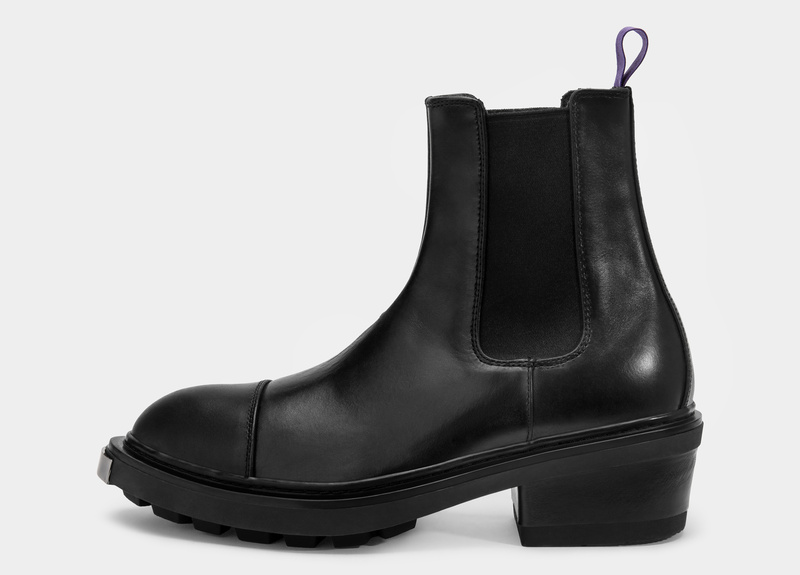 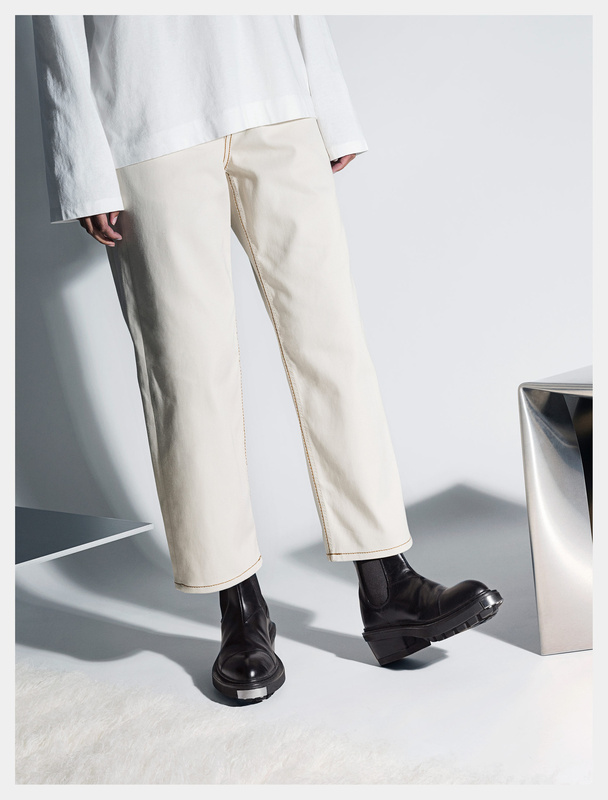 A pointy-toed Chelsea boot on a leather covered Cuban heel. 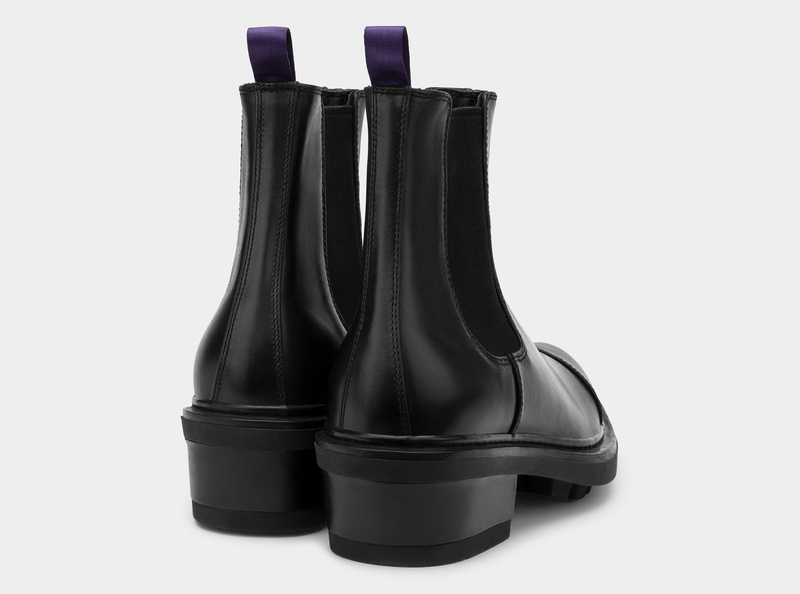 The rubber soles have bold tractor treads and a shiny metal plate at the toe. 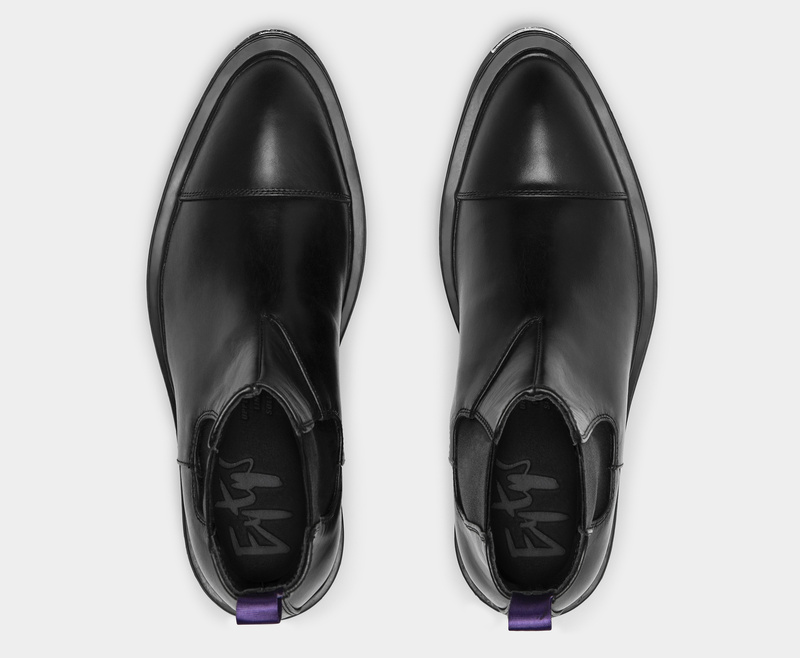 Made in polished full grain leather.